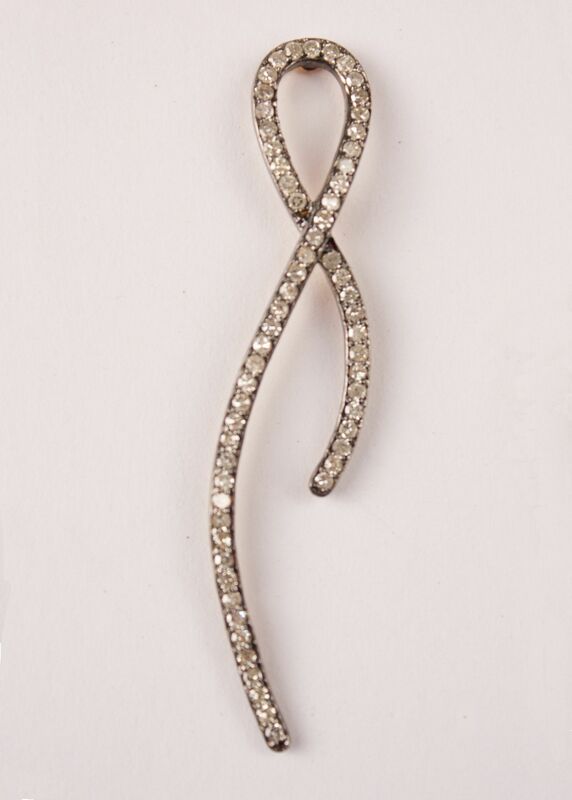 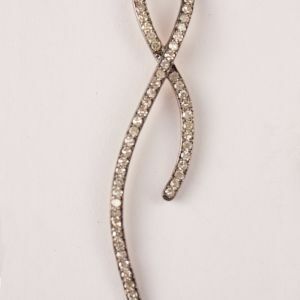 Wonderfully wearable pair of contemporary diamond dangle earrings with a flowing ribbon design. Each mirror-image earring features 61 rosecut diamonds in a continuous line, pave set in sterling silver, with a 14-karat gold post and earring back. 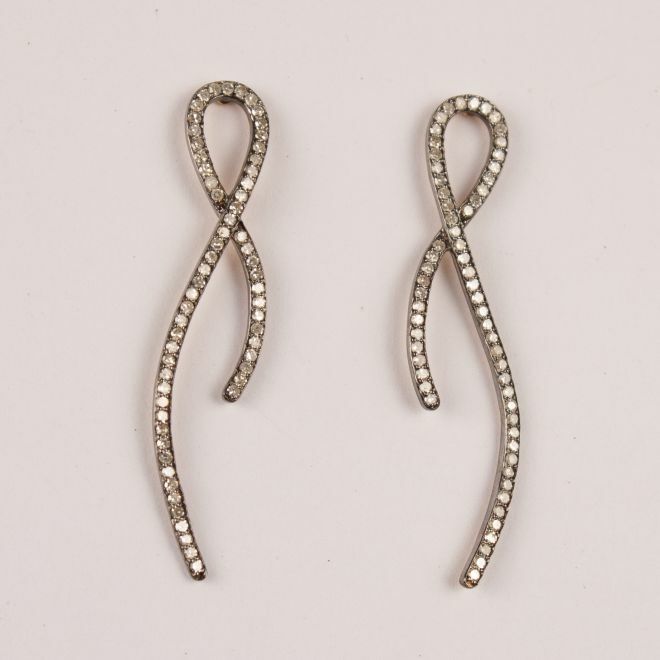 Earring measures: 2 inch length; .38 inch width.